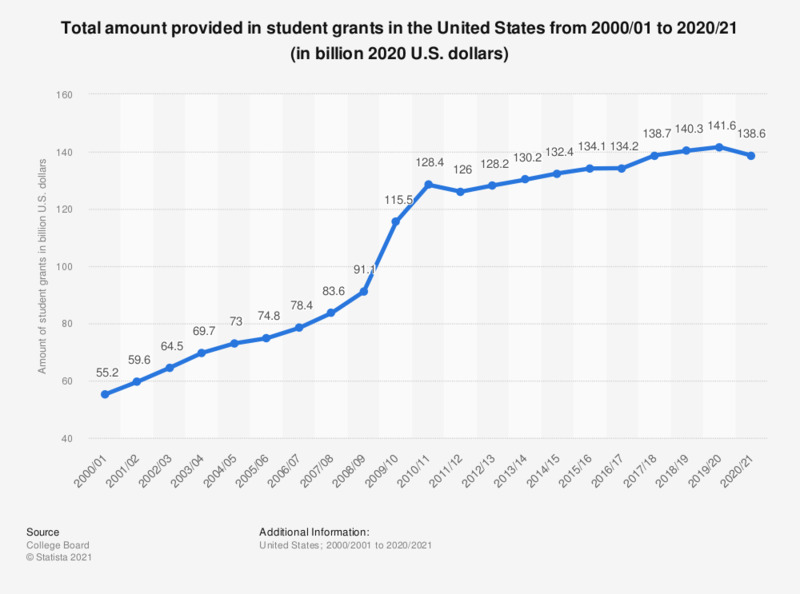 This statistic shows the total amount in student grants that was offered by different federal, institutional, private and state sources to students in the United States from 1997/98 to 2017/18. In the 1997/98, university offered a total of 38.6 billion U.S. dollars (constant 2016 dollars) to students across the United States in the form of grants. By 2017/18, total grants had increased to 129.4 billion U.S. dollars. How well do you feel your college education contributed to your development of the following skills?